The Tokyo Dome hosts on Saturday March 10 the East Japan Earthquake Relief Baseball Match. 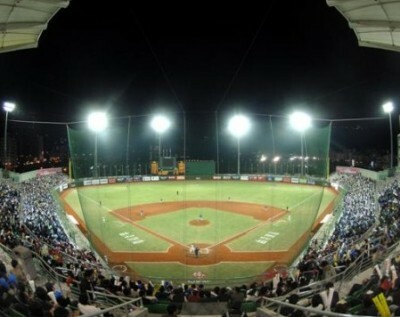 All Star Teams from the Japanese Major Leagues (NPB) and of the Professional League of Chinese Taipei (CPBL) will compete on the field starting 6.25 pm Tokyo time. The All-Japan University selection will face the All-Industrial Leagues team prior to the main event. This game will start at noon local time. According to Japanese news reports, 12,000 victims of last March's disaster will be invited to watch the game at the Tokyo Dome and part of the revenue will be donated to affected areas to support the reconstruction. The Eartquake Relief game won't be the only action taken by baseball. NPB Commissioner Ryozo Kato also announced that the 2013 All Star Game will be played in Fukushima. The area is living a nuclear crises since the earthquake and tsunami damaged the Dai-ichi nuclear plant. IBAF President Riccardo Fraccari will be attending the event. The IBAF and the Federation of Japan will display on the stadium scoreboard a video message from 11 different countries (Japan, Chinese Taipei, Korea, China, Pakistan, Australia, France, Italy, The Netherlands, U.S.A. and Brazil) in their languages to support Olympic reinstatement. A short version of the video will be on display during the friendly matches between Seattle Mariners and Yomiuri Giants and between Oakland A's and Osaka Hanshin Tigers, scheduled at the Tokyo Dome on March 25 and 26. President Fraccari will also announce that the IBAF has reached an agreement with Athlete Brand to distribute information about the organization in the Japanese language. The web site BASEBALLJPN.COM will feature a section about the IBAF, that will host content from IBAF web site translated into Japanese. Athlete Brand will support IBAF media relations reaching out to press agencies in Japan. The agreement is a strong effort from the IBAF in the direction of the average Japanese fan, that will have a very good chance to get in touch with news about global baseball in his own language. At the same time Athlete Brand will have a chance to make the content of the website richer. “We truly believe this is a win-win situation” commented Fraccari.